Drill into the details of your financial models with self-service reporting, on the web or in Microsoft Office. Free yourself from manual budgeting processes and increase your productivity by more than 70%. Track and share KPIs with interactive, easy-to-use dashboards. Finally be able to tell a story with the data. Cloud-based financial planning software lets you move beyond spreadsheets and streamline your budgeting, forecasting, and planning process. See how Adaptive Insights can enable active planning to solve your most important FP&A challenges. "Love the shared functionality and visibility that Adaptive provides. Being able to see how changes affect the bottom line on the fly and the ability to audit previous changes makes collaboration a breeze." "A very flexible tool that gives great visibility to the organization... 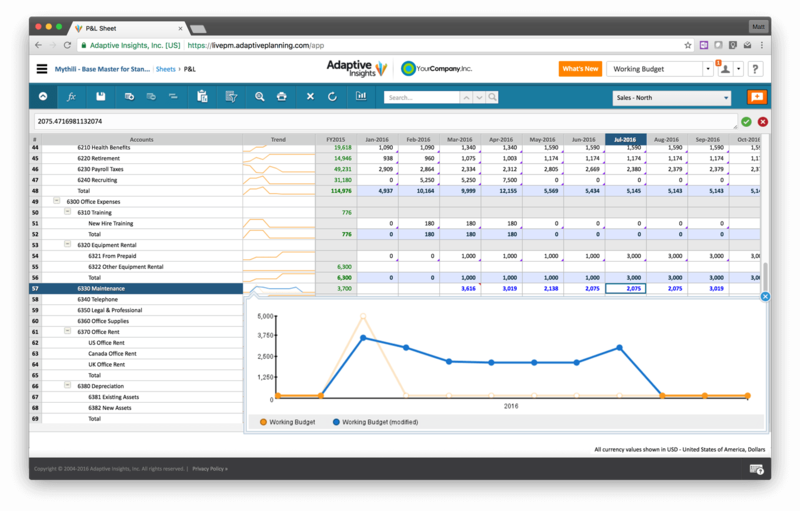 I cannot say enough about how Adaptive has been a truly effective budgeting, planning & forecasting tool." "I'm a veteran to FP&A, and have used Excel, Oracle Hyperion/Essbase, and several other tools. And this by far is the best. It has been the easiest to use... and doesn't require any assistance from IT or Developers."